This post for the Gluten Free Tea Party Bites is sponsored by Udi’s® Gluten Free. All comments and opinions are my own. 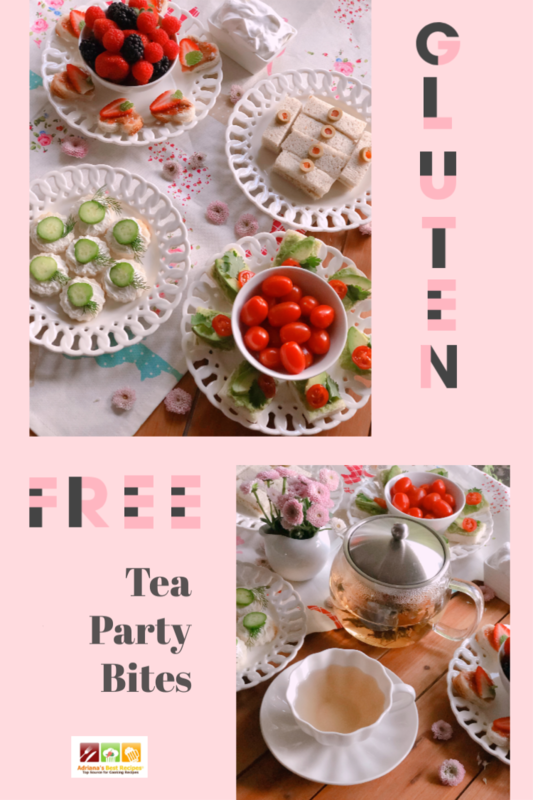 Learn how to make delicious gluten free tea party bites. 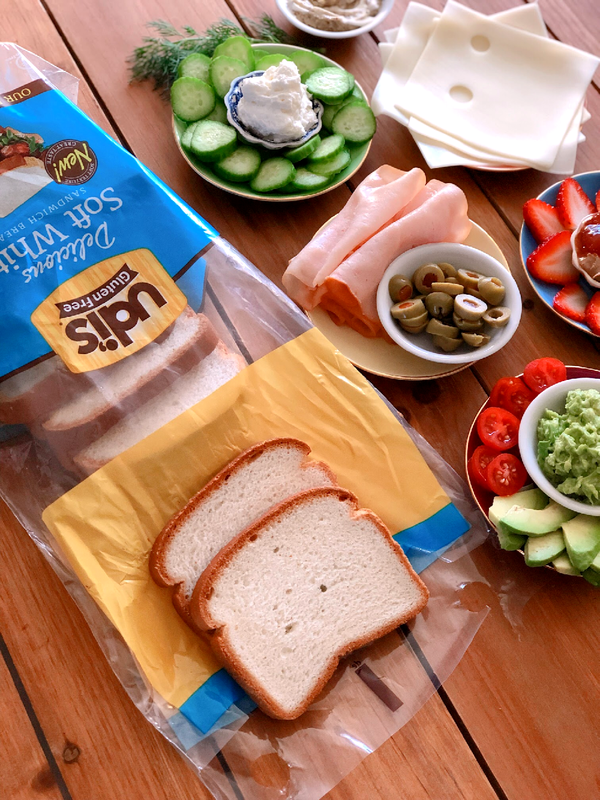 My stepdaughter is gluten intolerant, and I am glad that now she can enjoy bread again thanks to Udi’s® Gluten Free Delicious Soft White Sandwich Bread and Udi’s® Gluten Free Delicious Multigrain Sandwich Bread. 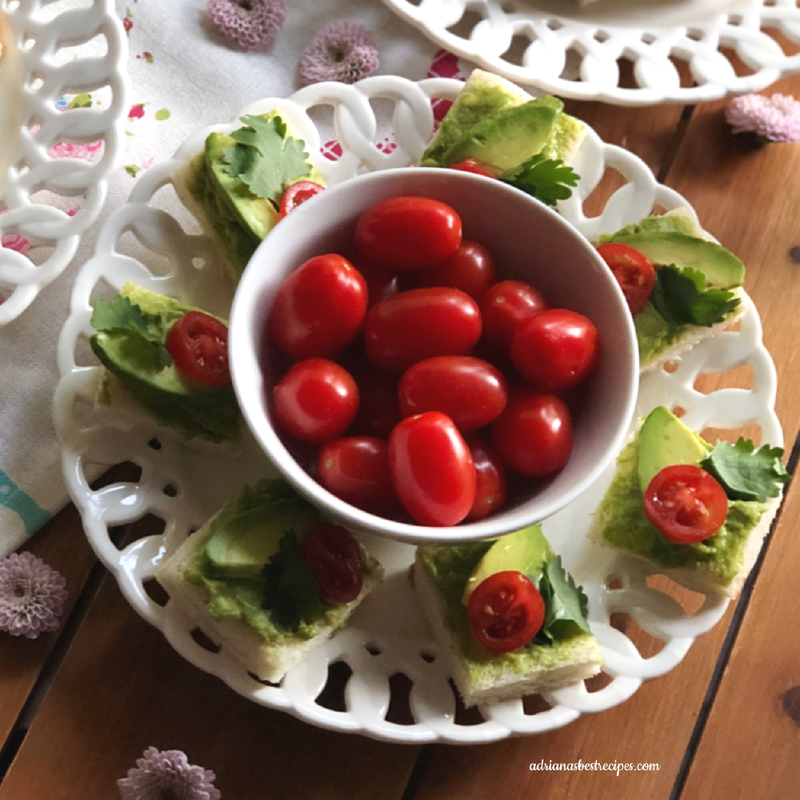 I am using both loaves of bread to make the best gluten free tea party bites combined with yummy flavors, fruits, and veggies. Udi’s Bread has fresh from the bakery flavor! Udi’s bread has a delicious taste, soft texture, and is the right size. Their 24oz loaves have a thirty percent larger slice and mirrors standard sandwich bread, plus it is certified gluten free, dairy and nut free, and has eight grams of whole grains per serving, plus other vitamins and minerals. You can find Udi’s bread at Publix. 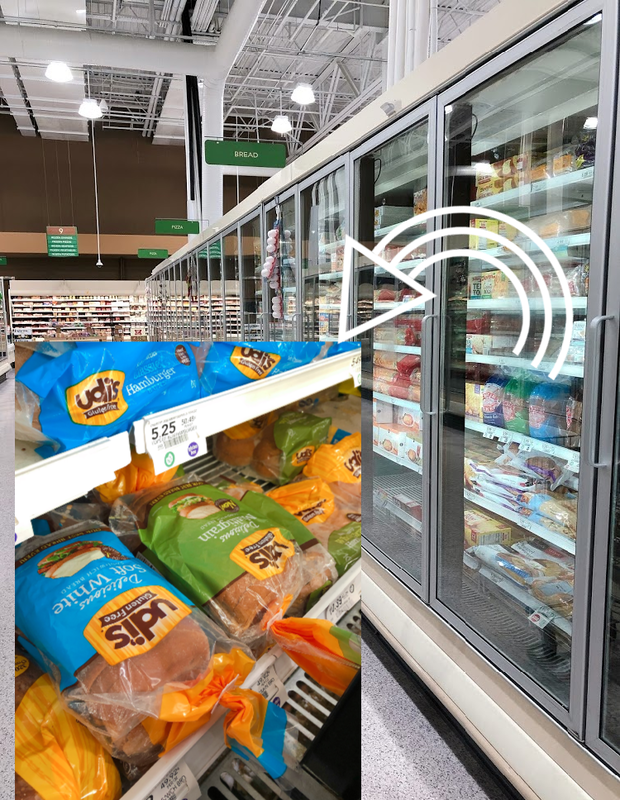 Just head over the frozen bread aisle where the gluten free products are located and purchase both varieties for crafting fabulous gluten free tea party bites. Udi’s offers a variety of other baked goods, meals, and snack options to ensure there is something to fit everyone’s taste. Bring that incredible fresh from the bakery flavor to your home and shop at Publix. I bought all my ingredients for the gluten free tea party bites there. An easy Gluten Free Tea Party Menu is our suggestion for tasty tea time. Afternoon tea is something that I enjoy a lot. 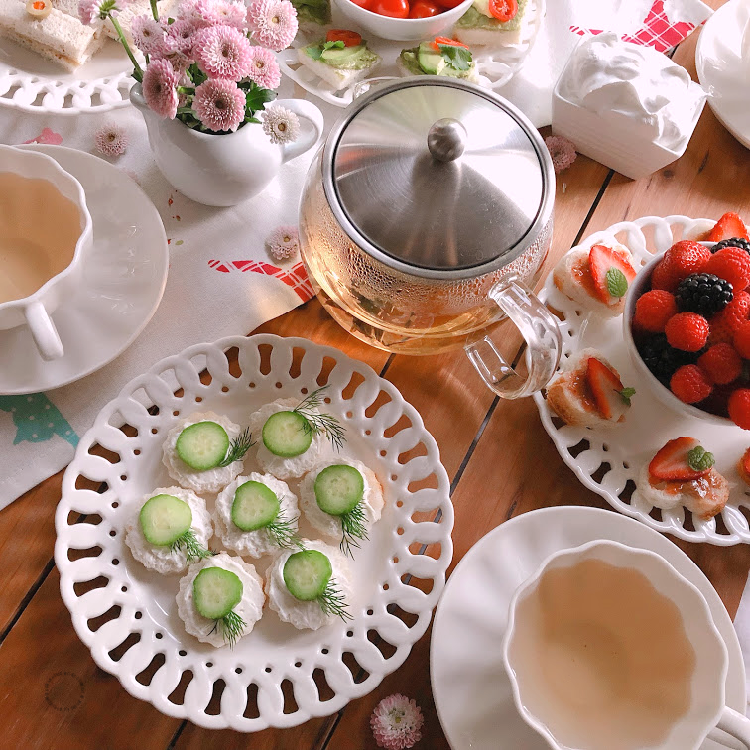 As a family, we like meeting in the tea room where we sip refreshing tea beverages and eat sweet and savory bites. 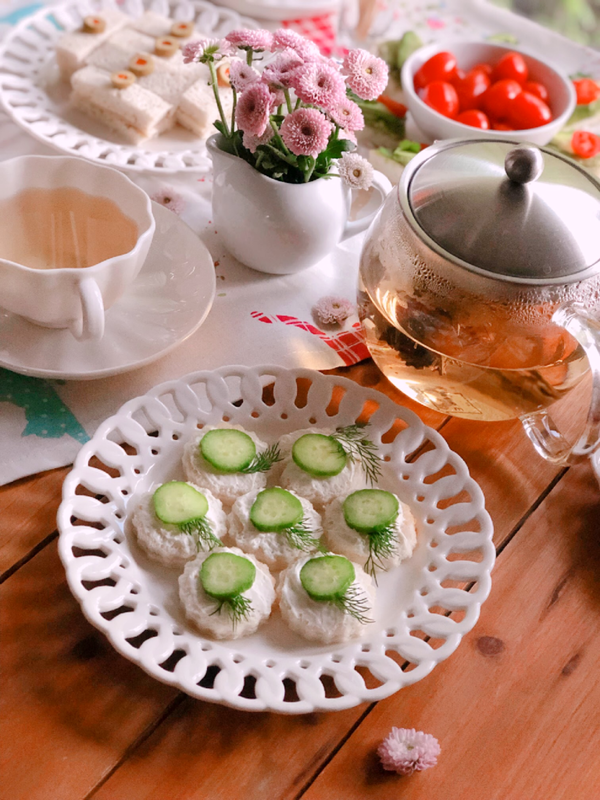 Most of the time, my stepdaughter cannot enjoy the complete menu as the tea room doesn’t offer gluten free options, so I decided to treat her at home by preparing a high tea experience using Udi’s bread, fresh fruit, veggies, cream cheese, almond butter, and flowering green tea. 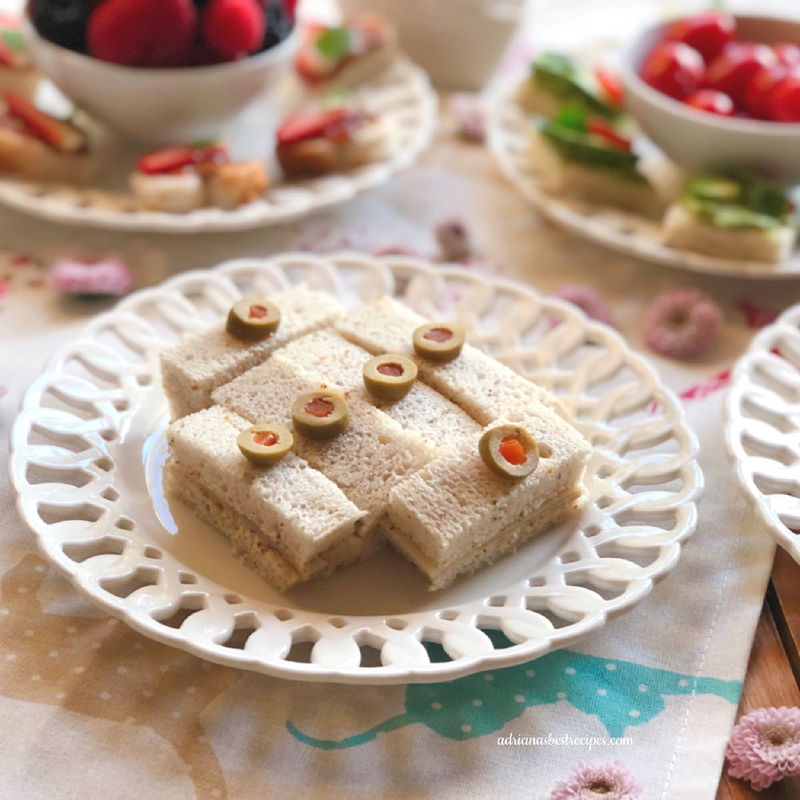 The menu is simple but inspired by the flavors of traditional tea time finger sandwiches with my unique twist. Cucumber, cream cheese, and dill weed go well together, so our first bite I made using Udi’s® Gluten Free Delicious Soft White Sandwich Bread. I cut the bread using a cookie cutter to make rounds. 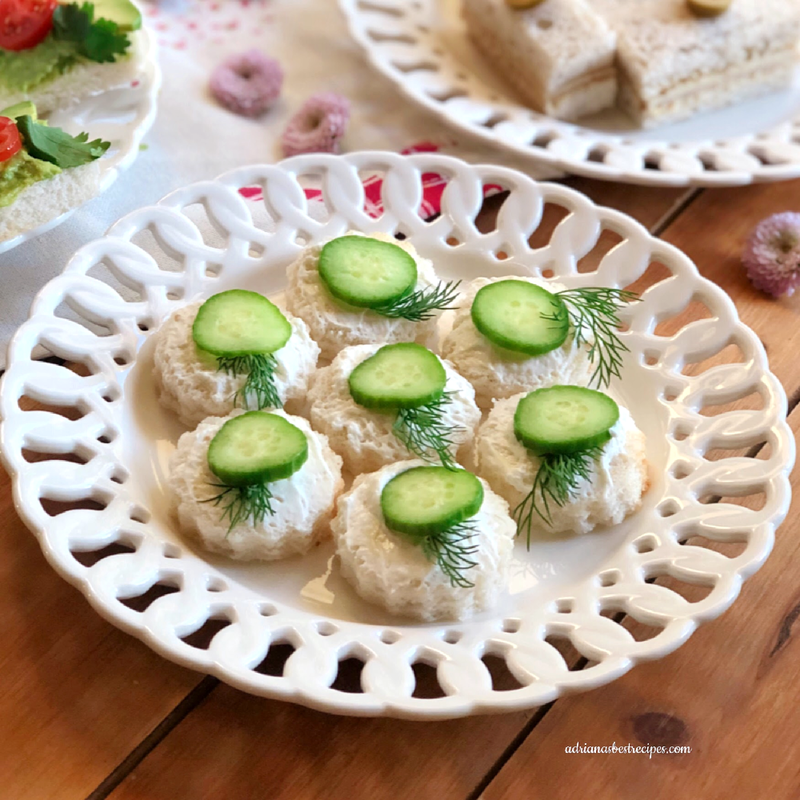 I spread whipped cream cheese on each of the rounds and topped with a slice of seedless mini cucumber, then garnished with fresh dill weed. The famous Victoria Sponge Cake inspires this bite. I used almond butter, homemade strawberry jam, and fresh mint as a garnish. 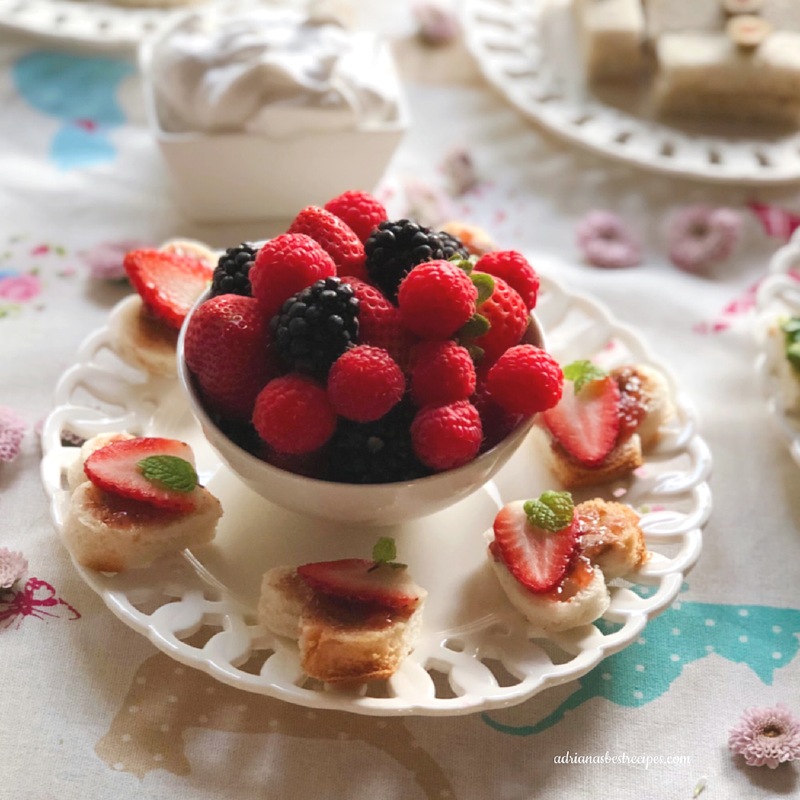 The bread is cut using a heart shaped cookie cutter and then spread with almond butter, strawberry jam, and is topped with a fresh strawberry slice and a tiny mint leaf. I am from Mexico, and we like our avocado toast, so why not create an avocado bite using an ingredient that everyone loves? I am using avocado mash and avocado slices, plus cherry tomato rounds, and cilantro leaves for garnishing. Cut the bread into square shapes, then spread some avocado mash, and top with a tomato round and some cilantro. Turkey and Swiss is a classic sandwich flavor; I decided to use Udi’s Multigrain bread, mayo, and Dijon mustard, honey smoked turkey, Swiss cheese and olives. We are cutting this one into small rectangular pieces for finger sandwiches and topping with sliced olives for an upscale look. 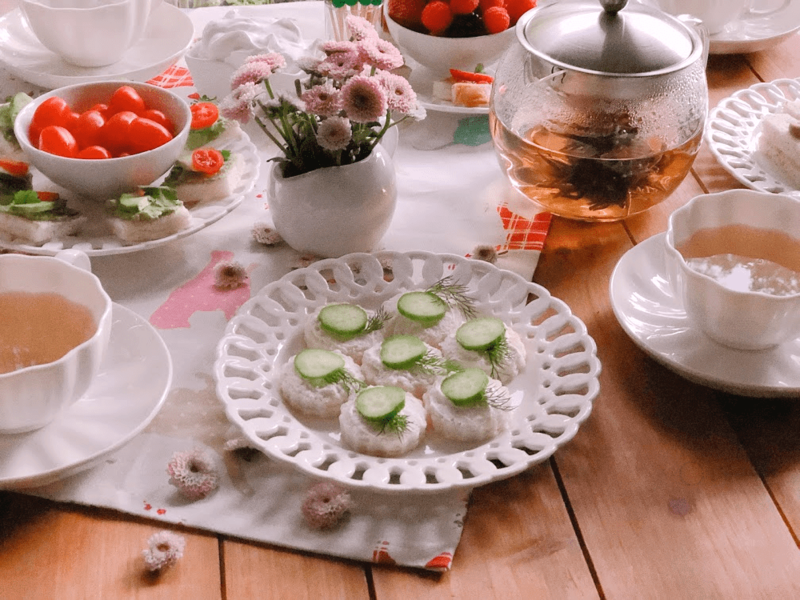 Organize a Successful High Tea Experience at Home. Take out your best china and set up the table with fresh flowers, and a lovely tea towel. 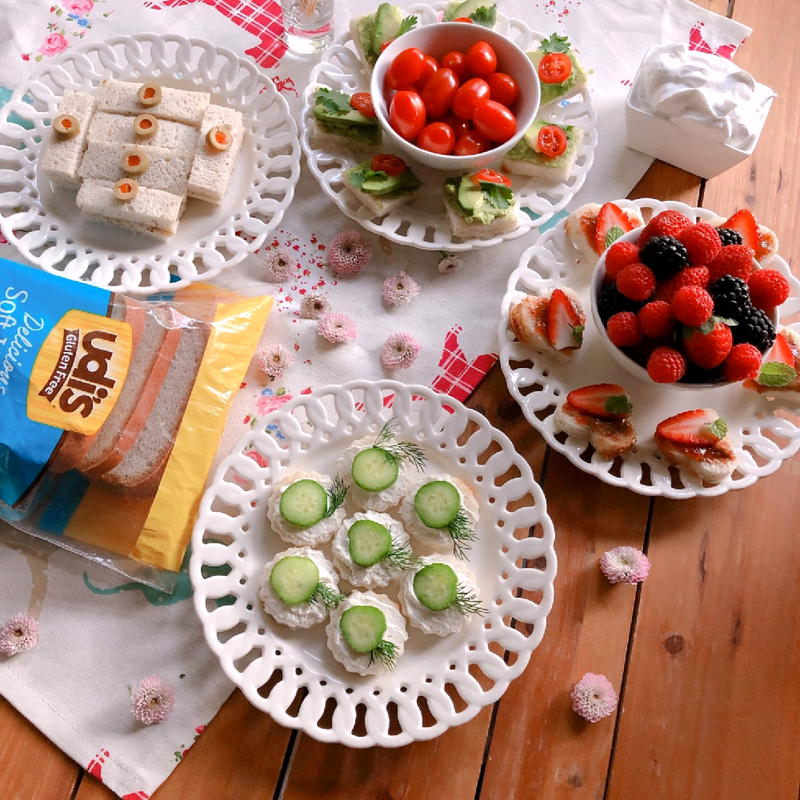 Plate the sandwiches and bites in a pleasing way by using white plates. Offer a variety of bites between sweet and savory, add gluten free options for your guests and keep the appetizers refrigerated and covered. Add a variety of fresh berries to the table to enjoy with whipped cream. You can also add fresh produce like cherry tomatoes. I also like to serve a flowering green tea infused with tropical notes. Prep the menu suggested above two hours before the gathering that way the gluten free tea party bites are fresh. Most of all, have fun and bond with those you love! Udi’s bread is really good! Hard to believe it’s not gluten-free, I really like the soft white bread. These are all great – I especially love the cucumber bites. They are such a cute and fun looking appetizer that I am sure everyone at parties would love!! I love serving little bite-sized treats like these at parties – love that they’re also gluten free! Super cute little snacks. I know my niece would like to play tea and have these. What a beautiful display! Excellent afternoon tea selection of tasty bites. I need to check out Udi’s bread! It’s always great to have gluten-free options for get-togethers. Such great party snacks! Looks delicious! I absolutely love how cute this is!!! These tea party bites are perfect!